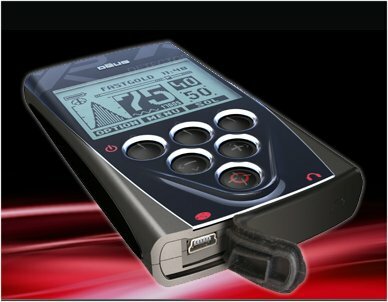 XP Deus Update allows you to update the remote control, the coil and the headphone software of your DEUS enabling you to benefit from the latest updates & in the long term allow new functions to be accessed. - PC with one of the following operating systems : Windows XP, Windows Vista or Windows 7. - Internet Explorer 5 or more. - The coil, remote and headphone charged and to hand. -T he single USB cable and not the 3 output cable used for charging. 1. 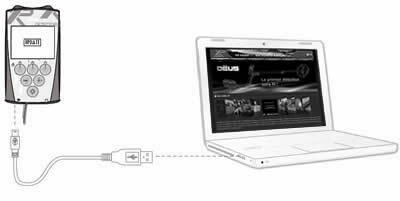 Plug the single USB cable between the remote control and your PC. 1. Click on Save the file.